Introducing Midnight Oil's “FullTank” from Sony Legacy and Sony Music Australia. This is the definitive Oils”CD/DVD collection. It includes, for the first time ever, all of their 11 classic studio albums, their two EPs, plus a new DVD called 40,000 Watt RSL”that contains all of the band,s unforgettable music videos. Each album has been digitally remastered over recent years and its artwork has been restored to match the original releases. This ultimate Oils collection also includes some alternative album covers, plus a new cover for the DVD. Uniquely made out of recycled materials, all of these 14 discs are housed in a miniature replica water tank like the one seen onstage at so many memorable Midnight Oil concerts. 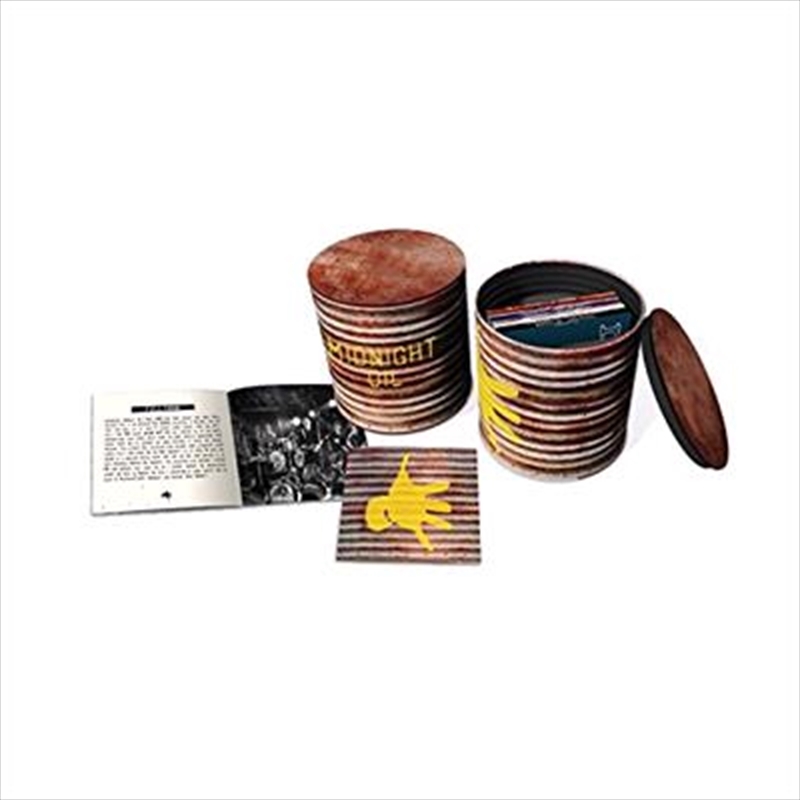 This collection also contains a deluxe 36 page booklet that takes you on a journey through the unparalleled career and music of Midnight Oil with a collection of iconic photos and an essay by Australian music journalist and musician, Sean Sennett.